Thanksgiving is the perfect time of year to reflect and give thanks to all who make our lives better by just being in them! To all of our supportive member wineries and their staff, all of our growers, our affiliate members and our entire family of partners – and to You – our treasured guests (without whom we wouldn’t exist! ), please accept our humble thanks. If there are any out there who would give thanks to NOT have to cook, you can thank both South Coast Winery and Thornton Winery for doing it for you. Both are accepting reservations for turkey day dinner now. Trust me, they’re better at this than most of us! And if you need a good nights rest after all the over-indulging, Wilson Creek Manor is offering some fantastic rates for which you’ll be truly thankful. The day after Thanksgiving, aka, Black Friday, bring your family and friends out for a day in wine country. All of our wineries will be open for the entire weekend – and many are offering once a year discounts on some fabulous wine for the holidays. Special Black Friday sales events are going on at Cougar, Danza del Sol, Europa Village, Leoness, Lorimar, Oak Mountain, Ponte and Robert Renzoni wineries. I mean, really! Where else can you taste before you buy, but at a winery? 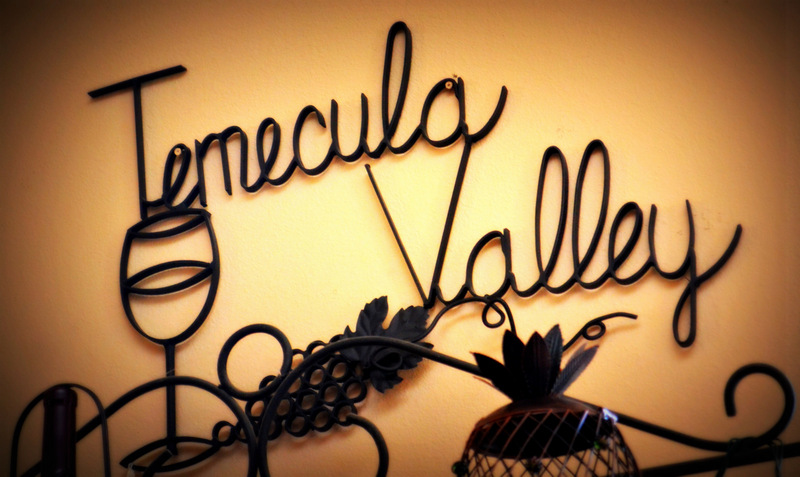 Win $4000 in Cash + Prizes – Enter Temecula Valley’s Video Contest! Are you a SoCal wine-lover who loves making videos for fun? Why not turn that fun into profit? For the first time ever, Temecula Valley is launching a summer-long Video Contest! Amateur and pro filmmakers alike are invited to submit a short video demonstrating that “Temecula Valley is Southern California’s wine country.” The grand prize is worth $4,000 and includes a wine country weekend for two, plus $2500 in cash! Contest entry period is Friday, June 1 to Friday, August 31, 2012. So grab your iPhone, FlipCam or old fashioned video camera and head to Temecula for a weekend of wine tasting and shooting; or if you can’t visit this summer, we’ve created an album of photos that you can use to create your video on iMovie, Adobe or an easy online editor like VideoToolBox.com! Participants can find complete contest rules and instructions at www.TemeculaWines.org/VideoContest beginning June 1, 2012. Video submissions must be original work and can use still images from TVWA’s online image archive, found at http://flic.kr/s/aHsjzzuCUC. GRAND PRIZE – The winning filmmaker will receive $2500 cash, plus a Temecula Valley wine country weekend for two! Weekend includes two nights at the Inn at Europa Village, dinner for two at the award-winning Vineyard Rose Restaurant at South Coast Winery Resort & Spa, a wine country tour with Grapeline Wine Country Shuttle, and a hot air balloon ride for two with California Dreamin’ Balloon Adventures. $4000 value. Runner-up – Two tickets to the 2012 Harvest Celebration Weekend, plus dinner for two at Meritage Restaurant at Callaway Winery. Honorable Mention – Three honorable mention winners will receive a pair of tickets to the 2012 Harvest Celebration Weekend. Transportation is not included except as indicated; non-cash prizes are not redeemable for cash. We’re looking for fun and enthusiasm more than perfection – so, don’t be shy! YOU could be the lucky winner of this incredible opportunity! Please share this post with your friends! Have fun and good luck! Posted in Association News, SoCalWineTV, Winery News | Comments Off on Win $4000 in Cash + Prizes – Enter Temecula Valley’s Video Contest! Temecula Wine Country on the radio! So Cal travel expert, Francoise Rhodes of Traveling with Francoise, came out to Temecula Wine Country for the Harvest Celebration Weekend and interviewed several representatives from the region — including South Coast Winery Resort & Spa, Vindemia/California Dreamin’, Grapeline Wine Country Shuttle, winemaker Mike Tingley from Danza Del Sol, and our own Peggy Evans from the TVWA. Click on this audio link and enjoy the show! Watch the latest episode of our very own SoCalWineTV show, featuring Jim Carter of the acclaimed South Coast Winery. It’s no wonder South Coast Winery has been recognized as the “Best Winery in California” for two years running with the enjoyable, one of a kind experience that it offers guests. From its delicious European inspired wines and rolling vineyards to its private villas, vibrant dining, and lush spa, you can’t go wrong with a visit to South Coast Winery Resort & Spa! Come check out South Coast Winery and 30 others at the Wine & Food Festival this Friday, September 17th! Tickets are still available! Call 800-801-WINE (9463) or click here! Don’t miss it!! !